Kevin ‘Yvad” Davy the somewhat enigmatic and reticent Singer, Songwriter, former Tuff Gong protege, former lead singer for the touring Wailers band has clearly set the springboard into motion for a busy 2019. After a highly successful 2016 which saw the release of two singles, “Tribute” an acoustic track dedicated to Bob Marley and the Wailers and “Riverton”,both accompanied by videos, Yvad has all reasons to walk with a new found bounce as he received great rotation in mainstream media. 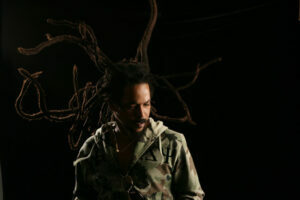 The last few years Yvad has been on the stage at Rebel Salute and followed up with appearances at The Kingston Urban Festival, Rastafari Rootzfest and One Nite for Haiti Benefit Concert. He also did a myriad number of Club appearances at Triple Century, Red Bones, Jamnesia, Roundhill Hotel, Jungle Fyah, Skyline Levels, House of Dancehall and the The Alibi where he was met with wild acclaim. He also did promotional stops at KOOL FM, HOT 102, HYPE TV and featured on the Mello FM Road Tour with Barry G and Ron Muschette. It’s safe to say he has laid the groundwork for a successful 2019; with new music due out this summer, he is already in high gear and reggae fans will be happy not only to hear Yvad’s latest music but know that he is putting together plans for a summer Tour of U.S.A and Europe.